Is Natera Inc (NTRA) A Good Stock To Buy? You probably know from experience that there is not as much information on small-cap companies as there is on large companies. Of course, this makes it really hard and difficult for individual investors to make proper and accurate analysis of certain small-cap companies. However, well-known and successful hedge fund investors like Carl Icahn and George Soros hold the necessary resources and abilities to conduct an extensive stock analysis on small-cap stocks, which enable them to make millions of dollars by identifying potential winners within the small-cap galaxy of stocks. This represents the main reason why Insider Monkey takes notice of the hedge fund activity in these overlooked stocks. Natera Inc (NASDAQ:NTRA) shares didn’t see a lot of action during the third quarter. Overall, hedge fund sentiment was unchanged. The stock was in 15 hedge funds’ portfolios at the end of the third quarter of 2016. At the end of this article we will also compare NTRA to other stocks including Silver Spring Networks Inc (NYSE:SSNI), SPX Corporation (NYSE:SPXC), and Five9 Inc (NASDAQ:FIVN) to get a better sense of its popularity. How are hedge funds trading Natera Inc (NASDAQ:NTRA)? Heading into the fourth quarter of 2016, a total of 15 of the hedge funds tracked by Insider Monkey were bullish on this stock, unchanged from one quarter earlier. 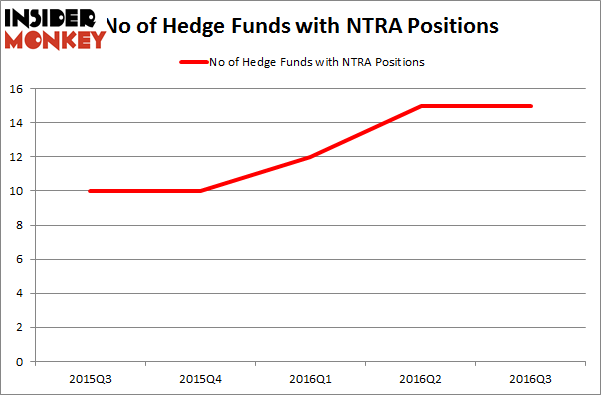 The graph below displays the number of hedge funds with bullish position in NTRA over the last 5 quarters. With hedge funds’ positions undergoing their usual ebb and flow, there exists a select group of key hedge fund managers who were increasing their stakes substantially (or already accumulated large positions). According to Insider Monkey’s hedge fund database, Samuel Isaly’s OrbiMed Advisors has the biggest position in Natera Inc (NASDAQ:NTRA), worth close to $14.2 million. Coming in second is Richard Driehaus of Driehaus Capital, with a $12.9 million position. Remaining peers that hold long positions consist of George McCabe’s Portolan Capital Management, Julian Baker and Felix Baker’s Baker Bros. Advisors and Arthur B Cohen and Joseph Healey’s Healthcor Management LP. We should note that none of these hedge funds are among our list of the 100 best performing hedge funds which is based on the performance of their 13F long positions in non-microcap stocks. Is Bottomline Technologies (EPAY) A Good Stock To Buy? Is Cohu, Inc. (COHU) A Good Stock To Buy Right Now? Is 2U Inc (TWOU) A Good Stock To Buy? 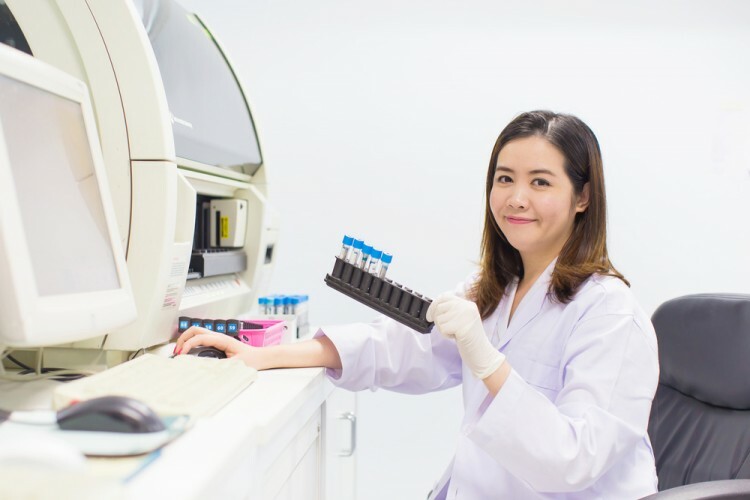 Is Cryolife Inc (CRY) A Good Stock To Buy? Hedge Funds Are Selling Concordia International Corp (CXRX) Is Tobira Therapeutics Inc (TBRA) A Good Stock To Buy?